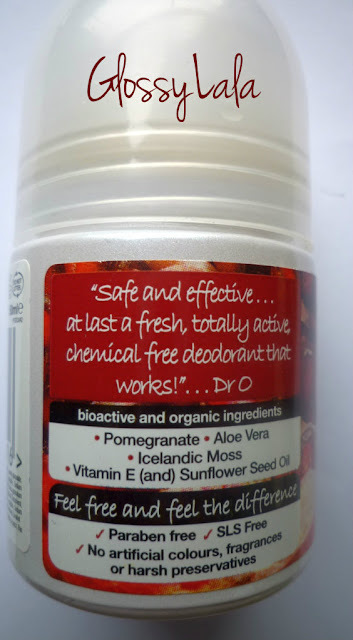 Dr. Organic Organic Roll-On - Be Glossy In and Out! Lately I try to use only bio cosmetic products due to an allergy to any chemical or strong smells. That,s why I chose this Dr.Organic pomegranate roll-on, which is free of parabens, aluminium, colorants and preservatives. 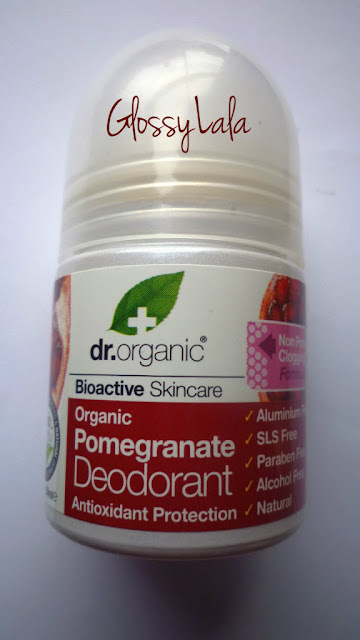 It is one of 6 natural roll-on of this company, and it is formulated with organic pomegranate, aloe vera, sunflower oil, Irish moss and vitamin E.
It is suitable for sensitive skin, that,s why it leaves the skin soft and rash free even after shaving. It provides long-lasting protection without harsh chemical additives and has a pleasent light smell. I bought it from here with 5 pounds, but you can find it in many online shops. nu am auzit de aceste produse,sunt bune? Este primul produs pe care il folosesc de la Dr. Organic si sunt multumita.Am vazut ca mai au si creme,sampoane,geluri de dus. Hi! You have an award on my blog! 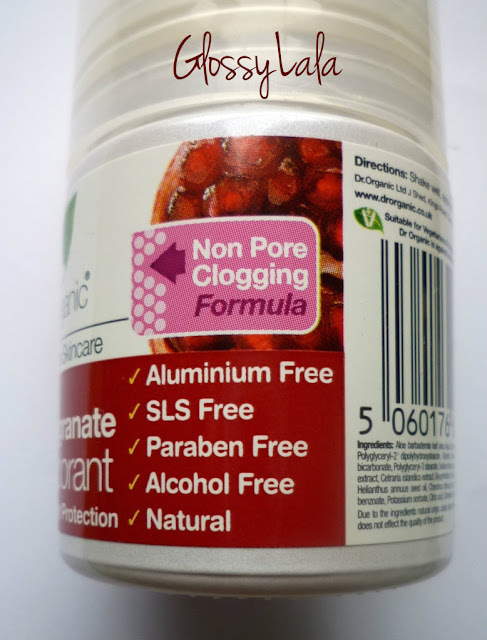 Produsele biologice sunt in general mai scumpe decat cele normale, tocmai pt. ca nu contin chimicale. E un pic mai scump, dar un roll-on normal de la Nivea de exemplu e in jur de 4-5 euro.